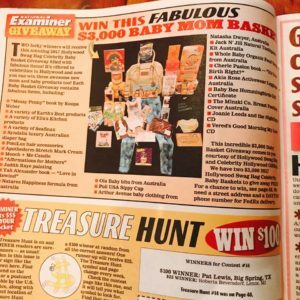 Check out Hollywood Baskets in the National Examiner on newstands NOW! Enter to win!! 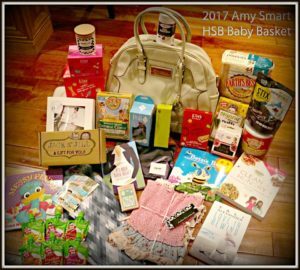 #win #contests Thank you to all of our amazing brands for taking part. Check out #HollywoodSwagBag #HollywoodBasketsin the #NationalExaminer on newstands NOW! 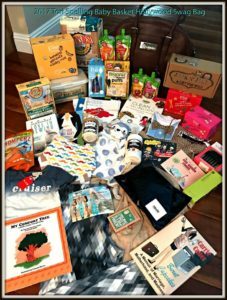 Enter to win!! #win #contests Thank you to all of our amazing brands for taking part. Amanda Seyfried and her husband Thomas Sadoski are now parents to a little girl. Hollywood Swag Bag and all of our amazing brands from US and Canada. At the end of last year Amy Smart welcomed her first baby daughter, Flora, via surrogate. 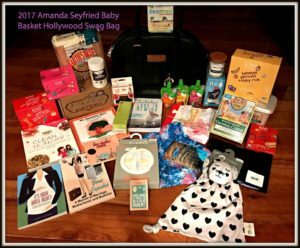 Hollywood Swag Bag thought she should be gifted by all of our amazing brands! So excited to send her all of these goodies from our amazing US and Australian brands.